Accident Cause a Paralyzing Spinal Cord Injury? A spinal cord injury can be devastating. Even a minor spinal injury can be a huge obstacle that a person has to work around for years — or maybe even the rest of their lives. While modern treatments can help a person suffering such an injury lead a full, productive existence, many others will always find themselves at a disadvantage. You have to make do with what your life is now, but you can seek justice for what happened if someone else is responsible. Your injury could be the result of violence, an accident or negligence. If so, somebody else could be liable and you might find peace of mind in legal and monetary compensation. Spinal cord injury settlements tend to be sizable due to their seriousness. However, you need a Philadelphia back injury attorney with the right experience and background to guide you through the complicated legal process. 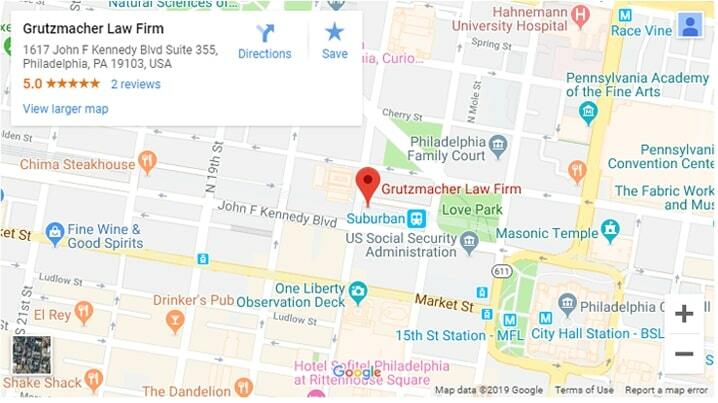 Adam E. Grutzmacher is a Philadelphia spinal cord injury lawyer with more than a decade’s worth of experience in litigating complex personal injury cases. He has a passion for taking on cases where negligence led to personal injuries, such as damage to the spinal cord that causes permanent paralysis, paraplegia and quadriplegia. How Can a Spinal Cord Injury Affect a Victim’s Life? If the damage is extensive enough, paralysis can be permanent, resulting in paraplegia (paralysis of the legs and lower body) or quadriplegia (paralysis of all four limbs). Damage to any part of the spinal cord or the nerves at the end of the spinal canal can cause permanent changes to the strength, sensation and bodily functions of the area beneath the injury. Your ability to control your limbs after such an injury depends upon two key factors: where along the spinal cord the injury is and its severity. Spinal cord injuries are not always obvious at first, and it is best not to try and move someone if they have suffered one. They will require immediate medical assistance. Sometimes, it is better to assume someone is injured and to proceed accordingly. What Accidents Commonly Result in Severe Spine Damage? Spinal cord injuries tend to result from damage done to the vertebrae, ligaments or discs of the spin column or the spinal cord itself. A sudden, traumatic blow to your spine that fractures, dislocates, crushes or compresses one or more of your vertebrae could amount to a major traumatic injury. Over the next few days or weeks, additional damage might accumulate due to bleeding, swelling, inflammation or fluid accumulation in and around the spinal cord. Falls. Falls account for 15 percent of spinal injuries. After age 65, spinal injuries are most often caused by slip and fall accidents, due to declining health. Motor vehicle accidents. Auto and motorcycle accidents are the leading cause of spinal injuries by 50%. Both drivers and passengers have been hurt. Violence. Gunshots, knife wounds and other acts of violence, either barehanded or with other weapons, account for 12 percent of spinal injuries. Alcohol and diseases. Alcohol factors into about a quarter of all spinal injuries. Cancer, arthritis, osteoporosis, and inflammation of the spinal cord can also cause harm. Sports injuries. Impact sports and diving into shallow water cause around 10 percent of spinal cord injuries. Sports, such as MMA, hockey, rugby and football also increase the risk of spinal damage. After a disabling accident, your whole life might be different, and you will need to adjust. Part of your adjustment might include determining whether or not someone else is liable for your injury. A Philadelphia spinal cord injury lawyer can help you with that. If you were on someone else’s property when you were injured, you might be able to hold them responsible. It is a property owner’s responsibility to make the environment safe for visitors. If you were suffered a spinal injury during the course of a motor vehicle accident, then the other person is liable. In a motor vehicle accident or a slip and fall incident, you need an experienced and passionate Philadelphia spinal cord injury attorney to assist you. Call Adam E. Grutzmacher at (215) 261-7975 or contact us online for a free consultation with a Philadelphia spinal cord lawyer driven to champion the causes of those injured through the negligence of others.